Ownership is everything. Just ask the fans of the New England Patriots to talk about their owner Robert Kraft. Over the last five years he has led that franchise to the highest winning percentage in the NFL. New England’s gate receipts topped the NFL at $93 million and by Forbes’ estimation, the team’s value has increased 17% over the past five years. What does that have to do with the mattress industry? 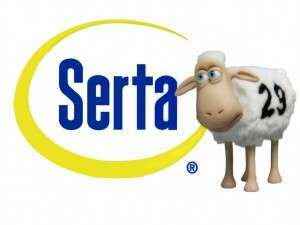 A lot if you are Serta and Simmons who just announced that Advent International agreed to acquire a majority interest in AOT Bedding Super Holdings, the parent company of National Bedding Co., the majority owner and licensee of Serta and Simmons Bedding Companies. It has been reported that Bob Sherman and Gary Fazio have signed employment contracts and will stay on as the leaders of their respective companies. If you have been around the mattress industry long enough, you have seen large, private equity groups come and go. Some have entered the industry and helped improve it and left value after selling their stake and exiting. We have also seen the other side of that. The Advent website says, “We focus on building long term value in partnerships with our portfolio companies through revenue growth, acquisitions and profit improvement, not financial engineering.” That sounds pretty good to me and I am sure the people working for Serta and Simmons feel the same. My congratulations to all involved in the deal. This kind of thing does not happen without the hard work of each employee at every single level. There is still a lot of “blue ocean” in our industry and if the right people are leading the way, we can see the mattress category grow and become even more important to the consumer, placing the mattress purchase at the top of the shopping list. This kind of ownership change affects more than just the people working for the companies being purchased. Advent’s approach will have either a direct or indirect impact on thousands of people in the mattress industry, so in that context I am sure we are hoping for a group that can help us tell our story. The story that says a mattress can literally help improve a person’s quality of life. Will Advent International be the private equity equivalent of the New England Patriots’ Robert Craft? If ownership is everything and Advent lives up to the promise posted on their website, there’s a good chance Serta and Simmons will see a solid boost. For the sake of the mattress industry and the momentum we’ve built, I sure hope we can ALL have another winning season. So what business owner has you excited about the future? Do the Cowboys have a chance this year? Share your comments below. I was working at Simmons in 1978 when Gulf & Western got together with a management team, decided to purchase Simmons away from the Simmons family (Grant Simmons did not want to sell – he was happy to sit in his office at “Jones Bridge” overlooking the Chattahoochee River). Somehow G&W prevailed, and Grant was out….first time in over a hundred years no Simmons family member involved in the company….Meanwhile, Sealy (mainly Earnie Williger at Ohio Mattress I think) had spent the previous five years quietly comming from behind to catch and surpass Simmons into the #1 spot for the first time in the history of the competition (Grant fiddled while Rome burned). Gulf & Western within a few short years found it beneficial to sell Simmons to the Wicks organization…..within a few more Wicks saw an opportunity to sell Simmons to someone else (I forget who). …. Somewhere in the late 1980’s “someone” found it beneficial to lead Simmons into an Employee Owned Stock Ownership Program, so we became an ESOP…. A few years later, we sold the ESOP to somebody (I forget who)….5 years go by, that somebody sells to someone else….on and on and on…..And so, here we are today.